First it was an ice anchor desk. Then came an ice chroma key wall. Now it’s sand’s time to shine. 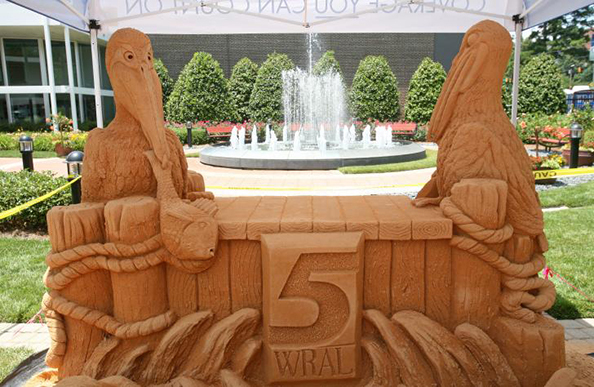 WRAL-TV, the Capitol Broadcasting CBS affiliate in Raleigh, N.C., hired Moore Riley Architects to build an anchor desk out of sand. 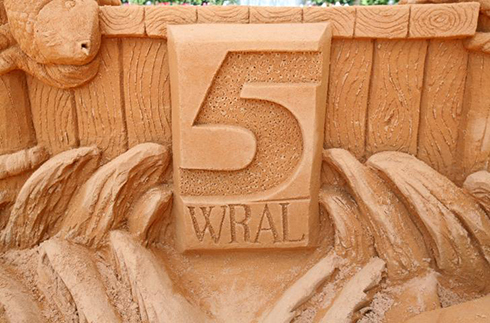 The desk took two days to build and features the station’s logo on the front, along with carefully carved wooden planks, dock posts, birds, dolphins, ocean waves and even a child building a sand castle (how meta) — all made of sand. The desk itself is actually supported by an underlying structure, shown above, with a sand facade of sorts. The station has the anchor desk on display in front of the fountain outside its building in Raleigh, sometimes protected under a tent branded with the station’s logo and slogan (kind of brings new meaning to “Coverage You Can Count On,” doesn’t it?). 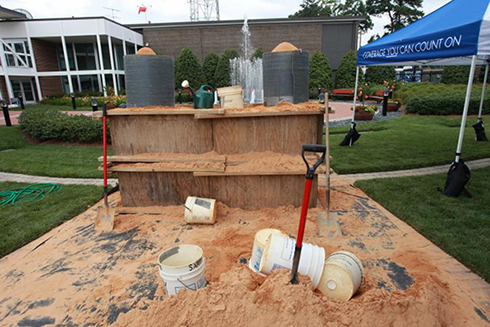 Watch the station’s coverage of the sand desk here.